Following a letter from the Campaign to Free Political prisoners in Iran (CFPPI) to the human rights organisations and labour unions, the Canadian Union Of Postal Workers (CUPW) has sent a letter to the UN and ILO and asked for an urgent and thorough investigation into the death of jailed labour activist Shahrokh Zamani. Please see CUPW letter. این نامه جهت حمایت از زندانی سیاسی سعید شیرزاد به‌‌‌ سازمانهای بشردوست و اتحادیه‌های کارگری از سوی کمیته مبارزه برای آزادی زندانیان سیاسی ارسال گردیده است. سعید شیرزاد ، فعال حقوق کودکان می‌باشد که در خرداد ۱۳۹۳ در محل کار خود در پالایشگاه تبریز دستگیر شد. سعید بارها در طول بازجوی تهدید به اعدام شد. وی در حال حاضر به‌‌‌ پنج سال زندان محکوم شده است. در این نامه از اتحادیه‌ها درخواست شده که خواستار آزادی سعید شیرزاد شده و به رژیم در ایران نامه اعتراضی ارسال دارند. لطفا در صورت تمایل جهت جلب حمایت از آزادی این فعال حقوق کودکان این نامه را به سازمانها و اتحادیه‌های کشور محل اقامتتان ارسال دارید. 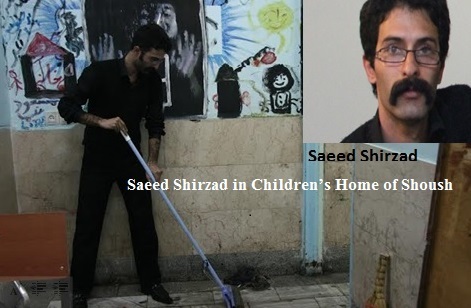 Support jailed children rights activist Saeed Shirzad and demand his immediate and unconditional release from prison. 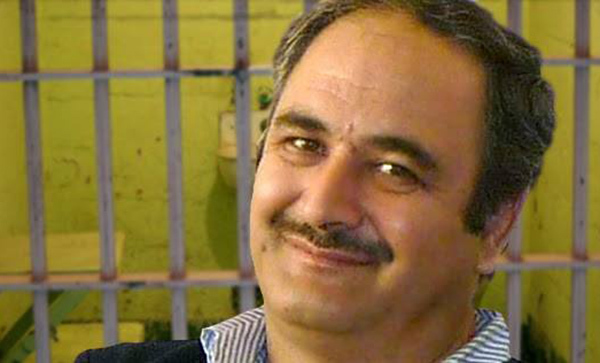 URGENT: the death of jailed labour activist Mr Shahrokh Zamani in Iran! I would like to appeal for your urgent action and demand that the Islamic regime in Iran opens a thorough investigation into the suspicious death of labour activist Mr Shahrokh Zamani in Prison. He was a labour activist in Rajaee Shahr prison in Iran and died on 13 September 2015 after serving 3 years of his 11 years sentence for being a labour activist. The Islamic regime has denied the request, raised by Shahrokh’s family, to thoroughly and independently investigate his death and carryout an autopsy. I was moved by your daring action to defend a Saudi political prisoner Ali Mohammed Baqir al-Nimr which has been very important as well as inspiring. I was once a political prisoner in Iran, when I was 16 years old, and was thrown into a prison cell by the Islamic regime’s decree in Iran solely for practicing my freedom of expression. I spent three and a half years of my youth in captivity twelve months of which was in solitary confinement. Many of my friends were executed for being a youth activist just like Ali Mohammed Baqir al-nimr. I am now a spokeswoman for Campaign to Free Political prisoners in Iran (CFPPI) and would like to request for your action and support to investigate the death of a political prisoner, Shahrokh Zamani, also a labour activist, who was suspiciously let to die in prison in the hands of Islamic regime in Iran. Please see appendix 1below for detail information. The prison authorities in Iran have claimed that Shahrokh has died as a result of stroke. This claim is highly suspicious! It is suspicious because the Islamic regime’s authorities have long been adopting a well-publicised strategy to kill political prisoners instead of executing them. This is done through depriving them of any medical attention and medication and wait for them to die and then announce they have died of illnesses or natural causes. By adopting this strategy, Rouhani’s regime avoids making negative international headlines. difference was that he was born in Iran where these respected rights are answered with imprisonment, torture and execution. The Islamic regime in Iran, similar to the Saudi government, has been torturing and execution political, social, labour and women activists in the past 36 years. The Islamic regime has a zero tolerance for any dissent; and the dissidents has been tortured and executed for merely asking for change. A simple right to freedom of expression, that is being enjoyed, respected and exercised in the UK and other countries by activists of all age would be punishable by death by hanging, in Iran. Once again, I would like to appeal for your urgent action, either through Prime Minister David Cameron or through Foreign Office, to demand that the Islamic regime in Iran opens a thorough investigation into the suspicious death of Mr Shahrokh Zamani. Shahrokh Zamani was a labour activist serving 11-years sentence in Rajai Shahr prison in the city of Karaj in Iran. Shahrokh was four years into his prison sentence. Shahrokh’s cellmate found his cold body, with blood in his mouth and nose, when he tried to wake him up in the morning of 13 September 2015. According to Shahrokh’s daughter, he had no prior illnesses. The authorities in Iran have refused a request for autopsy by Shahrokh’s family. Shahrokh Zamani was a member of Committee of the Tehran Painters’ Union, and a member of the Committee to Pursue the Establishment of Workers’ Organisations. He was arrested in the city of Tabriz in June 2011. During his imprisonment, he was never given a leave from prison and in the last 3 years of his sentence, he was deprived of having regular visits with his family. While in prison, Zamani was physically and psychologically tortured and was transferred to several different prisons in order to exert more pressure on him. The prison authorities put Shahrokh’s life to even more danger by keeping him, in some prisons, among non-political prisoners. Zamani described his treatment in one of his many letters by stating that: “Lastly I want to emphasize that the offices of the intelligence services have threatened my life both directly and indirectly: by poisoning, exposure to prisoners with Aids, unleashing the mentally ill, violent and dangerous inmates on me..” Letter is attached. Zamani was well-known for being outspoken critics of the Islamic regime and exposed the inhuman treatment of prisoners. He went on hunger strike several times to show his protest. Shahrokh Zamani’s death reminds us of the death of several other prisoners including the jjailed labour activist, Afshin Osanloo, who died in June 2013 in Rajaee Shahr prison. The authorities in Iran did not provide any explanation into the circumstances of Osanloo’s death and only claim that he suffered a heart attack. There are several other political prisoners who were murdered in the hand of prison authorities through deprivation of medical attention.